Want to Read a German Shepherd Story? 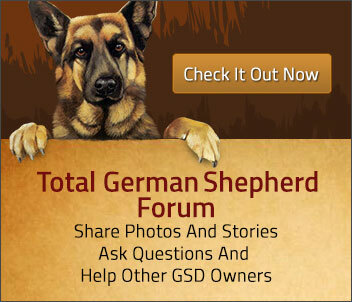 Here's your opportunity to share your own GSD story with the world. Tell us about your German Shepherds quirks, their accomplishments, all the tricks they can do, classes and training certifications they have received, or just why you love them all sooo much in the first place! • Keep it clean. Stories can't contain any abusive behavior, vulgar language or immoral content/conduct - remember, we are a family friendly site - so those kinds of stories will not be accepted. Now for the easy part - just fill in the form below with your story, fill in all the blanks, add a picture to dress up your story and then click submit. Then, we'll double check your story and make it "live" once it has been approved. 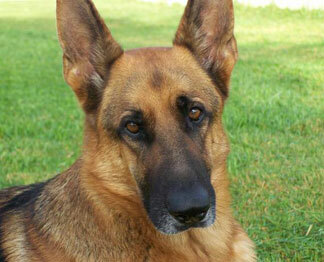 All approved German Shepherd stories will be featured on this page, just below. So, let's get started. Add your own story now - we'd love to read it and share it with others. My German Shepherd Dog, "Kane"
Guess Where I Found My GSD At? Kaysa the German Shepherd is Super Smart! Meet Olivia, Our German Shepherd! Jayde, My German Shepherd, A Black Friday Baby! Is my boy the only bald German Shepherd on the planet? Our German Shepherd Rescue Hank is Truly a Blessing! Our German Shepherd is Such a Ham! German Shepherds Segen and Baby on Another Trip.